The Department of Biology has a bold vision to transform biological research and teaching. Through a new Life Sciences Complex (LSC) that will open Fall 2018, we will spark collaborations across disciplines. We will tackle pressing challenges through ambitious research spanning scales from molecules to ecosystems. We will engage students in hands-on research and redefine the classroom experience. 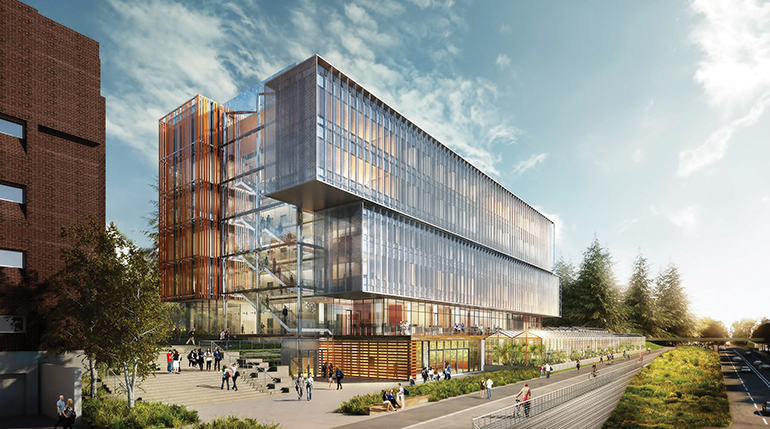 The new LSC will be a leading environment for modern-age research and teaching at the UW, enabling us to prepare the next generation of scientists and industry leaders while catalyzing boundless scientific enterprise. Learn more about the new Life Sciences Complex. You can help us build the future of life sciences teaching, research, and community outreach by giving to the Life Sciences Building and Greenhouse funds.